Chris O'Brien has hosted 80 Episodes. Our fastest local law enforcement officer takes a few minutes from keeping our parks safe to share his running story with us. From Welden, to pizza shop 5ks and winning races on 'fresh legs', we cover it all. ort Nace and Medved once again gathered a distinguished panel of runners, assembled an interested community and provided a comfortable space for many stories to be told. It was an evening of sharing the passion and joy that comes with being a runner out in the woods. Abby McCarthy runs fast. Abby McCarthy runs far. Abby McCarthy is fun to talk with. Jamie Hobbs returns to talk about his drive to run 100 miles at Massanutten Mountain in Virginia. Cayley Hallahan shares the story of her first half marathon… which she ran less than a year after having her aortic valve replaced... yes, we're talking open heart surgery, donor parts, the whole thing. 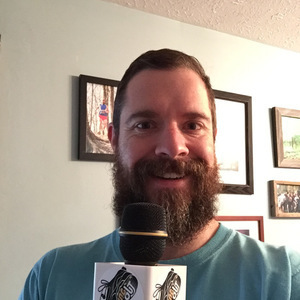 Since he was last on the podcast, Valone has joined the board of TrailsRoc, organized two fatass races and some weird 'adventure runs', he has also learned a lot about himself and his place in the community... also, I guess he has evolved. Altra athlete Laura Kline chats about traveling the world, racing at the front, having nobody to punch, gaining confidence and find the line between competing as hard as possible while trying not to destroy yourself. Ellie Pell joins to share lessons on life, ultra and naps that she has picked up in her respective 25 and 2 years. Between mouthfuls of oatmeal, Mike Welden recounts his long, tortuous path to the Laurel Highlands 70 mile race this past June. Erica Cino tells us about her journey to and through her first 13.1. From a never runner, to a sometimes runner, to a determined runner, Erica's story of finding motivation through adversity is as interesting as it is entertaining. Sarah Keyes shares a little about running fast in the mountains, her cross-country road trip and her thoughts on her upcoming run at Western States 100. 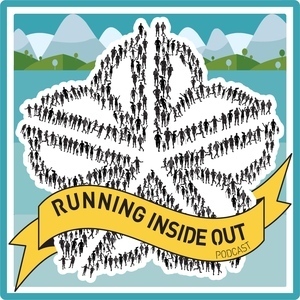 Barb and Serafina join to chat about running and eating. Mostly eating. An ultra for a 1st date? Shrimp on pizza? Would you eat an octopus? Deep conversation.